After quite some years with lots of movement, I am looking for a small farm (or something similar) where I can establish a living/working space/base. I hope that the description below will give you a context and a framework. For further information about me, my background and approach you may of course browse through my website. Overall I would hope to establish, if not contribute to a place that emanates qualities like simplicity, awareness and diversity. The design and the implementation will work with principles and design-methods of permaculture. • The design of the site will support and safeguard the life-supporting capacity of the air, water, soil and ecosystems. • It will create / recreate conditions so that biodiversity can be sustained or redevelop. • The project will create conditions for a diverse cultural life to develop – always in cooperation and consideration with the local conditions concerning the natural environment and the social/cultural structure of the area. • The project will intent to enrichen and support the region and the region will inspire and be integrated in the project. The farm would be open to develop an international network and exchange in the realms of various artforms, Zen buddhism/spiritual philosophies and earth restoration methods. I can also see small conferences on themes within the realms of the arts, science, spiritual understanding and traditions, and/or practices and philosophies of sustainable cultures. 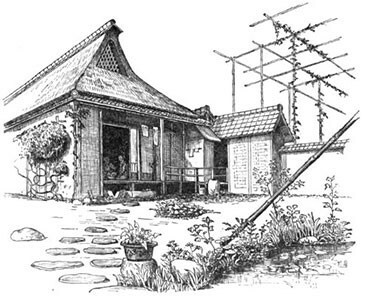 The farm/dojo would be sustained through the network of friends and partners connected to it, through visitors/workshop participants and through the land itself. Depending on the site, of course other possibilities can be envisioned, as well. I do not have the financial means to purchase a property, thus other ways have to be found! Certainly, if there is an old house or farm that needs somebody to live in and breathe life into it, I am interested. I am not tied to a specific place, though temperate climate zones throughout Scandinavia or UK would be preferred. However, any sort of hints welcome! A farm founded by dancer and actor Min Tanaka together with a group of contemporary dancers from Tokyo. "Tanaka founded Body Weather Farm in 1985 in the mountain village of Hakushu (outside Tokyo) to explore the origins of dance through farming life. Dancers who come to live there spend several hours every day doing labor in the fields, raising rice, vegetables and chickens, followed by many hours of daily dance training. The farm is a cooperative living environment, where everyone pitches in and everything is shared among participants. Members of the community learn new patterns of social engagement by taking part in the communal living environment. While throughout the process, the landscape seeps into their bodies and influences their art." Antaiji is a Japanese Soto Zen monastery in the northern mountains of Japan. The monastery maintains rice fields, a vegetable garden, its own forest for wood fuel and construction material, being almost self-sufficient. All this, together with the Zazen meditation practice and the study of Buddhas teaching is being regarded as their daily practice. This private island in front of the South-Western coast of Scotland had been donated, and is being supervised by Lama Yeshe Losal Rinpoche, a Tibetan Buddhist meditation master in the Karma Kagyu line. It is being run as a retreat center, with a small staff living constantly onsite. Thank you very much for your support and for passing on the info! And please feel free to get in touch, also if there are further questions.